Not only for music lovers but also for everyone in general, Jazz and Blues Festival hits a perfect balance between fun and musicality. For this reason, Jazz and Blues concerts are normally totally sold out and fully packed. 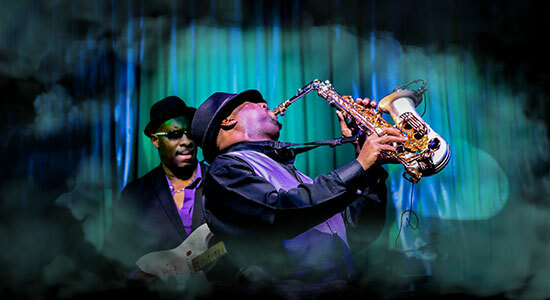 At these concerts, you can get to enjoy music from legendary Jazz Blues Artists like Joe Bonamassa, Chris Botti, David Koz, Buddy Guy, and Thievery Corporation. At TixBag We will make sure that you have a place in every Jazz and Blues Festival 2019 that you would wish to attend. You never have to worry about never having a Jazz and Blues ticket again. The sweet melodies combined with the musicality of the instruments are what makes this genre of music so unique. This unique combination has also made Jazz and Blues Festival appealing to all age groups. For this reason, these concerts are a good place to socialize with people of all ages from all walks of life. Those memorable experiences and life-changing moments you can find them all here. Let TixBag help you write the story of your life. Every day at TixBag we aspire to bring you bigger and better Jazz and Blues Festival tickets to make sure are part of history in its making. These concerts include those of Trombone Shorty and Orleans Avenue, TajMo: Taj Mahal and Keb Mo Band, Johnny Sonsone & Mel Melton and the Wicked Mojos, and Devon Alman Project. You can also get tickets from us for designer concerts like Blues and BBQ. In such designer concerts, you not only get a chance to enjoy good music but also learn and eat different recipes of BBQs. There are also designer Jazz and blues concerts that involve cocktails, cars and even motorbikes. All you have to do to attend is let us notify you when the tickets are on sale. We will also go as far as getting you the best tickets bargains. © 2019 Tixbag All Rights Reserved.